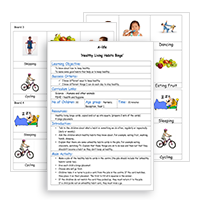 Here you’ll find a wealth of information to help support teachers and parents alike in educating children to lead healthy and active lifestyles. 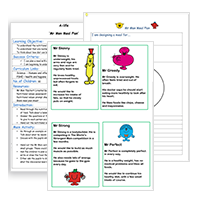 Read on for some useful lesson plans, educational games and resources, interesting articles and links to other websites that may be of use. We know how hard a teacher’s job is and we’re passionate about children learning to live healthy lifestyles early on. 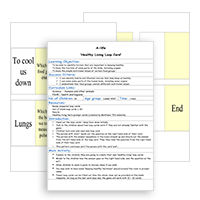 So, we want to help make your life a little easier by providing some ready-made lesson plans with resources that you can simply print out and use for your class to help teach about healthy living. 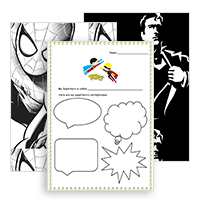 Free lesson plans simply click and print. KS1 & LKS2 children discover that habits are important for keeping fit and healthy. Eat your colours every day to stay healthy and fit! 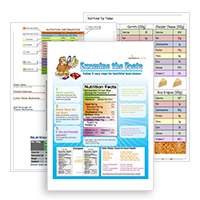 18" x 24"
A fun-tastic way for students to learn nutrition facts. This 15" inflatable ball challenges players with 60 questions. Pass the ball amongst the class, pupils answer the questions on which their left thumb lands. Answer sheet included. Stickers make great rewards and incentives. 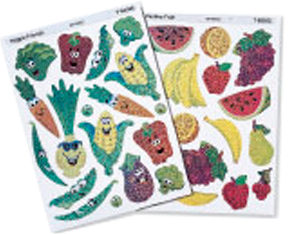 Each package contains 36 Veggie Friends & 32 Festive Fruit stickers. 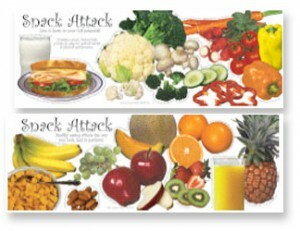 Set of two laminated posters that encourage healthier snack options choices. 8½" x 24"
Set of two posters that explain the importance of breakfast. 8½" x 24"
A quick and Colourful reference. These cost effective, 17" x 22" food charts explain what a fruit or vegetable is. Each poster includes four reproducible activities on the back. Entertaining poster that reminds children to drink 8 glasses of water a day 18" x 24". This 15" diameter inflatable ball includes instructions for several different fun educational activities. Helps kids identify 35 foods they may not be familiar with and the benefits of these foods to our bodies. 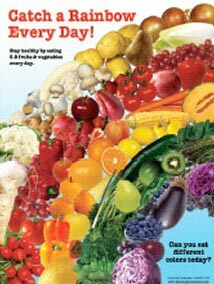 Colourful 14" x 20" dancing heart poster stresses the importance of fruits & vegetables. 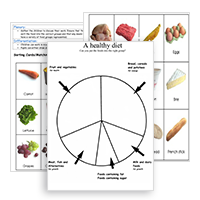 Includes 3 reproducible handouts & recipes, the benefits of fruits & vegetables and tips for consuming more. KS1-Children use 30 colourful cards (11" x 14") to identify common fruits and vegetables, recognize their names and learn the plants they come from. Pair of 4" x 4" dice – One die has fitness and exercise directions and the other has numbers. Exercises include, toe touch, arm curls, jumping jacks, leg lifts and more. A happy blend of active learning songs and nutritional information, at a level young children can understand. Cheerfully imparts the elements of a healthy diet including the importance of fruits, vegetables, and whole grains. Start the day a great way with clapping, skipping,stretching, and sit-ups! Exercises are short, simple, and fun. Songs include: Red, Red Robin; Zippity Doo Dah; Oh, What a Beautiful Morning; and more. This colourful named chart includes 35 re-usable stickers that help children get their 5 – a day from each rainbow food group. Also learning the names and colours of many fruits and vegetables. *at the time of linking the sites were useful and relevant but we are not lid to or responsible for any content on these sites. http://www.findschoolworkshops.co.uk/Primary/Healthy-Schools/ Healthy eating school workshops for primary schools.